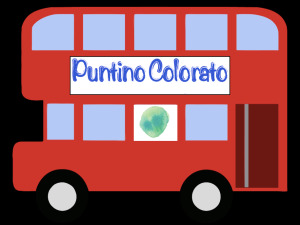 The children who attend the Puntino Colorato are in a full immersion environment where English is spoken all day long. Teachers use it in a spontaneous and fluid way as the language of communication both in didactic activities and during the daily routine. The children are exposed naturally to the English language, using the same learning tools when learning their mother tongue language. Of course, the proper timing/timeframe/time for every child’s language development is respected. No child can be pushed to speak in English, but, rather, we work on his or her motivation to use the language by proposing engaging, interesting and fun activities. All of the most recent neuropsychological studies continue to show us that individuals who are exposed to more languages have a wider range of learning strategies available to them…and the sooner one starts, the better it is!